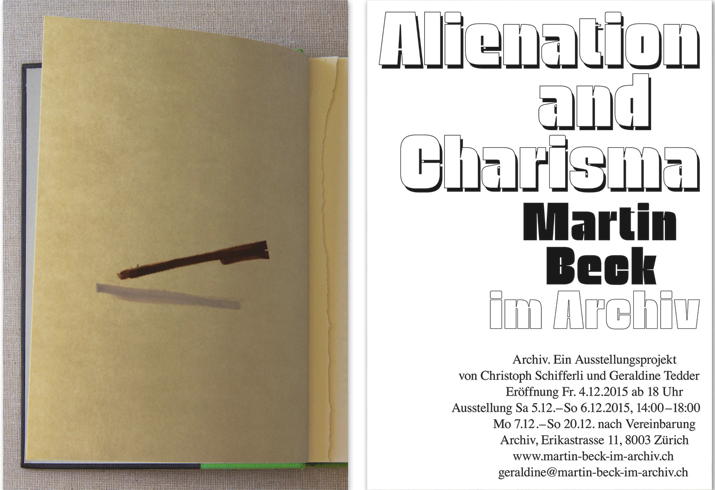 Friday, December 4, from 6 p.m.
Saturday, December 5 and Sunday, December 6 from 2 p.m. to 6 p.m.
Martin Beck's exhibition Alienation and Charisma marks the fifth project in the exhibition series ...at Archiv, wherein artists are invited to reflect on their use of books in their artworks. Beck's installation is based on a collection of American books on communual living that were published between 1968 and 1980. The collection represents an almost complete record of the book publishing activity on the subject during the heyday of the countercultural commune movement. Martin Beck lives and works in New York and Vienna. Previous one person exhibitions include shows at 47 Canal, New York (2015 and 2012), castillo/corrales, Paris (2014), Kunsthaus Glarus (2013), Gasworks, London (2008). His work was also presented in numerous group shows including at the Shanghai Biennale (2014–15), the Museum für Gegenwartskunst, Basel (2013) and the Centre Pompidou, Paris (2009).